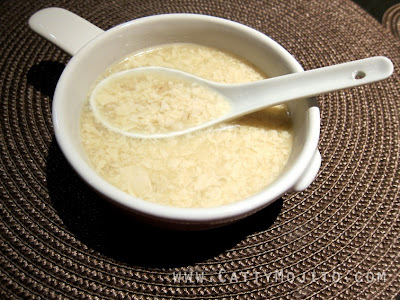 Yesterday I made this super easy Cantonese sweet soup. Usually people add some ginkgo in it, but I didn't have any, and it's not an important ingredient anyway. Some people also serve it with a boiled egg, but again, I didn't have any egg at home! :P Honestly, I think the sweet soup is nice as it is without any other ingredient - I've never been a big fan of ginkgo anyway! 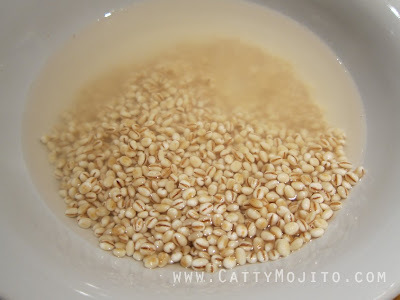 Soak barley (about 100g here but any amount you like) in warm water for 30 minutes. Drain. Soak 2 big sheets of dried beancurd sheets in warm water for 5 minutes, drain. Put both ingredients into a pot, and add at least 2L of hot water. Cook for at least 45 minutes over low-medium heat. 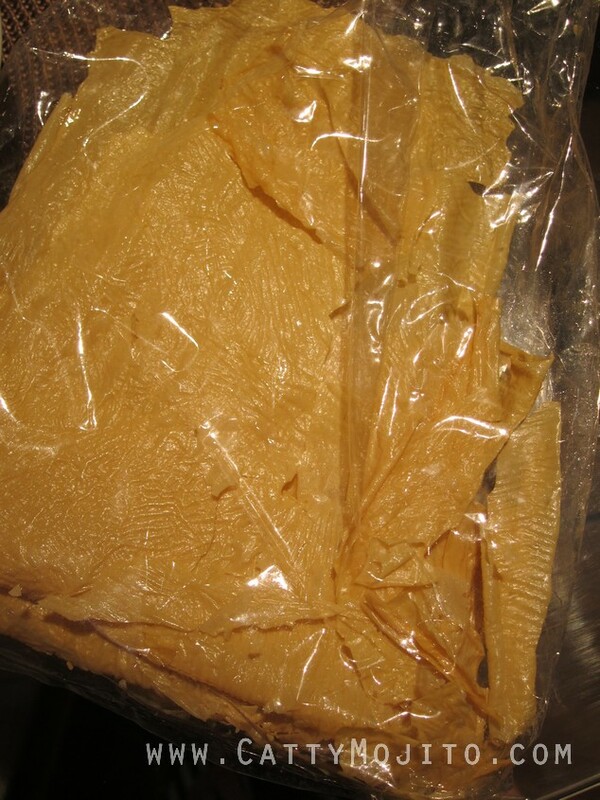 Add about 100g rock sugar when the beancurd sheets have mostly melted. Ready when the sugar has all melted.